MagsΜnchies… and Memories Program Tips for Girl Scouts! Are you prepared for the 2014 Mags&Munchies… and Memories program? The 2014 Online program is in full swing, but the in-person program begins next week (September 29). 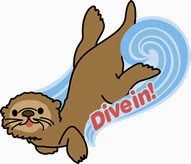 Here are some helpful tips to help you “dive in” and reach for your goals! Set up the Online program first. That way, your customers will have time to review the products and make their purchases before the October 29 order deadline. Target your message. Take the time to personalize your Web Store with a photo and video, along with information about why you’re participating in this program and what your Troop is planning to do with the funds earned. Also personalize your in-person “pitch.” If you know someone likes making photo books, or has to give lots of holiday gifts, or enjoys reading – tell them about the products you’re offering that match their interests. Remember donation programs Operation Stop Hunger and Project Thank You. If someone isn’t interested in Magazines, Nut/Snacks or Photo keepsakes for themselves or gifts, suggest making a $5 donation to help Girl Scouts make a food donation to Operation Stop Hunger or a magazine subscription to Project Thank you. When selling in person, wear something that identifies you as a Girl Scout. Most people are friendly and supportive when they see a girl in her vest or sash. And remember, if you are going to walk around your neighborhood, always have an adult with you! Keeping Girl Scout Troop Meetings FUN for the girls and for YOU! Keep Girl Scout Troop Meetings FUN for the girls and for YOU. If it isn't fun for you, it won't be fun for them! Girls of all ages like to have fun. If they are learning something at the same time, that is even better. Plan activities that you will enjoy doing and learning along with the girls... For young girls, try to remember the things that made your heart sing at their age. Don't be afraid to get messy, dirty or loud (while being mindful of the proper preparations for messy… since as Girl Scouts, we like to leave things cleaner then we found it and any restraints on being loud… we do need to be courteous to others). Silly hats, rhymes and goofy prizes make everyone laugh. From arts and crafts, to games and songs, to neighborhood trips, to having a Cookie Booth Sale, to going camping, or planning for that BIG trip to Europe, focus on the fun and then weave in the Journeys, Badges and lessons of a lifetime! Adventures come in all shapes, sizes and distances ... a mystery trip around the school yard can offer proportionate rewards to a safari, if the girls are having fun. When the bus break downs or the rains pour, rely on stories and songs and laughter to get you through the rough spots and all of you will come out with memories that will last forever. Thankfully, most of us manage to find our own route to making friends. We strike up conversations, we join groups where we expect we will meet people and we inherit siblings and cousins who become our "starter" friends. 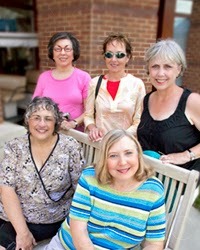 For adults there are lots of articles and blogs on how to make friends. But for kids, it can sometimes be a minefield. I have met thousands of girls and adults who credit Girl Scouting for the friends that they have now, for the friends that came into their lives through Girl Scouts, and in many cases, for friendships that have lasted a lifetime*. The Girl Scout Promise and Law entreat us to "be a sister to every Girl Scout." We often speak of the FUN and FRIENDSHIP of Girl Scouting, but what do we need to do to help foster a friendly environment for our girls? In many instances girls will come into a Troop knowing at least one girl from their class, and sometimes Troops are formed with a number of girls who are already friends. What about the girls who join a Troop -- or a short-term Scoutreach program -- and don't know anyone? What about the girls who join a Troop where there may be pre-conceived ideas about a girl (it could be any girl) who is different because she is "new," doesn't live in the neighborhood, doesn't attend the same school, looks different, speaks a different language, has a disability, or whose behavior stands out from the others? How do we make everyone welcome, accepted and part of a healthy group? How do we help all the girls to make friends? Vary your seating arrangements so that girls sit with different girls at each meeting. Build in activities that allow each girl to share something about herself, and then find people who have similar traits or interests... Try to focus on shared likes and interests, rather than on body images. Everybody Dance! And when the music stops, dance with someone new for the next round. Play games, like "Compliment Beanbags" and "Cooperation Musical Chairs." Do exercises that teach girls how to listen and remember that listening is not the same as waiting for your turn to talk! Simon Says and Red Light/Green Light are good starters. games. Don't be afraid to talk about differences and what makes each child and each person beautiful and unique. Keep our Girl Scout traditions going: Make new friends, and keep the old! *My friend Sandy C. and I met in Brownies when she was in the second grade and I was in the first. Our two Troops shared a school cafeteria. She was one of the big girls we Brownies admired. I was delighted when a few months later I changed churches, and there she was! Sandy was a built in friend and in my own Sunday School Class. We have been friends ever since and have made the efforts to stay connected despite years and miles. Whether you have a daughter, sister, niece, granddaughter, cousin or just a great friend, the girl in your life needs Girl Scouting and Girl Scouts of Nassau County needs you! For every Troop, there a needs for a Troop leader, a volunteer, a role model for each and every Daisy, Brownie, Junior, Cadet, Senior and Ambassador from whom to learn new skills and learn something special about themselves. Girl Scout volunteers open up doors that will shape the lives of dozens of girls at a time. Whether you’re a man or woman with — or without — scouting experience, there’s always room for more volunteers. At Girl Scouts of Nassau County we serve approximately 20,000 girls in Nassau County. Each girl learns, explores and make strides — all with friends by her side. The moment when a Girl Scout tries something new, anything from robotics to business management, can be the moment she discovers something amazing about herself. We want to reach more girls than ever before, but in order to do that, we need more volunteers. All that matters is the desire to be a part of helping girls grow to become women of courage, confidence and character. Ninety-four percent of Girl Scout Volunteers and ninety-seven percent of members believe Girl Scouts provides them with new, fun and exciting experiences. 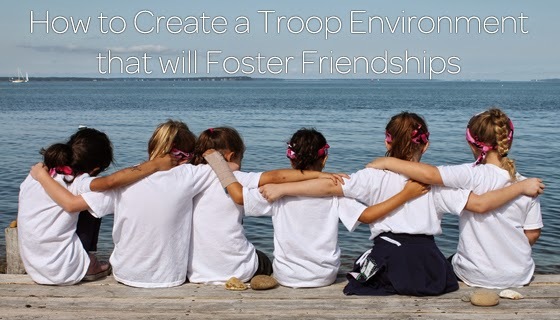 With tons of girls searching for a Troop in their community, you can be the one to make the difference! I urge the community, including mothers, fathers, college students and anyone who has an interest in participating to consider volunteering as a Troop Leader and joining over 7,000 adult members of GSNC who are making a significant difference in the lives of young women every day. Troop Leaders are a quintessential part of our organization. By volunteering as a Troop Leader, you are given the ability to change a life. GSNC provides girls with a place to build confidence, learn and have fun with their peers, and it also provides Troop Leaders with the opportunity to share an unforgettable time with their daughter, neighbors and the community while making connections with other like-minded volunteers. Above all else, remember, time as a Girl Scout will be a positive part of thousands of girls’ lives. They will carry these memories with them forever, and you could be the one that makes it happen, the one who helps us build the confidence and character of the next generations of amazing young women. Share the memories with your daughter; it’s a chance to bond, teach and learn together. Let’s get more girls in our community exploring, imagining and realizing their own unique gifts. To join or volunteer, please visit our website at www.girlscouts.org/join.